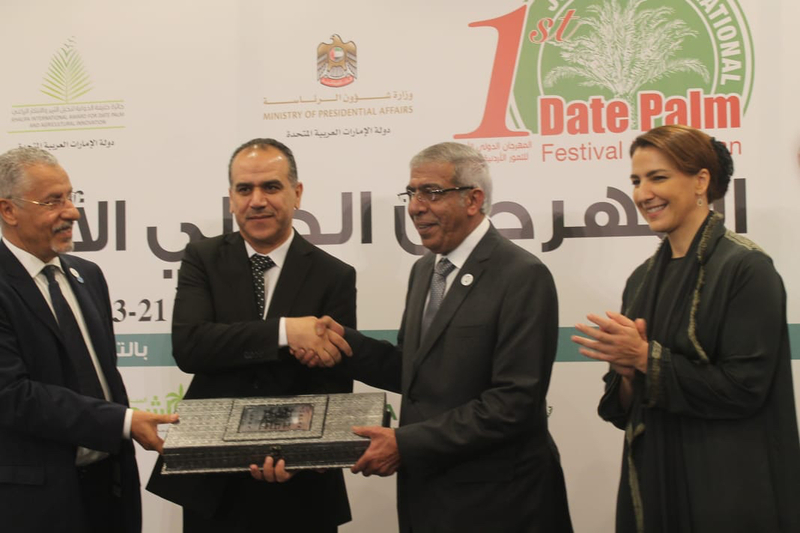 AMMAN, 22nd October, 2018 (WAM) -- Jordan's Minister of Agriculture and Environment Ibrahim Shahahdeh on Sunday opened the First international Jordanian Date Festival. 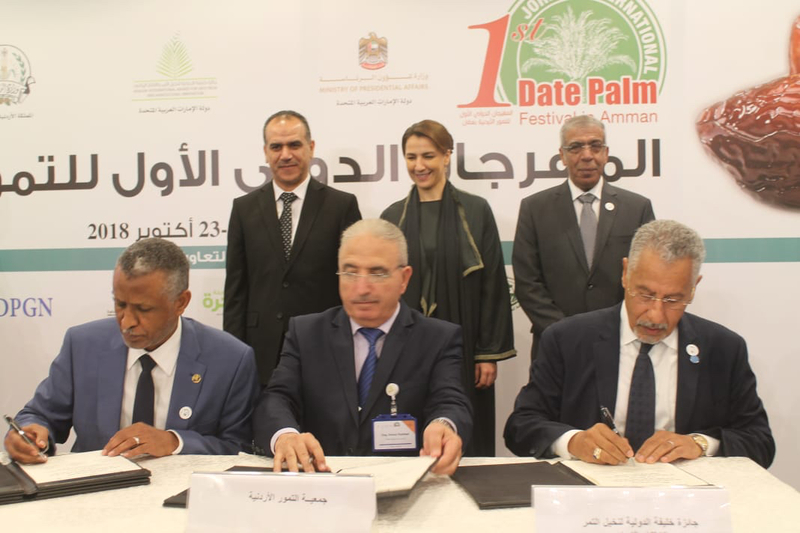 The event is being organised by the Khalifa International Award for Date Palm and Agricultural Innovation, Jordanian Ministry of Agriculture and the Jordan Dates Association (JODA). Mariam Hareb Almheiri, UAE Minister of State for Food Security, attended the event as a representative of H.H. Sheikh Mansour bin Zayed Al Nahyan, Deputy Prime Minister and Minister of Presidential Affairs. 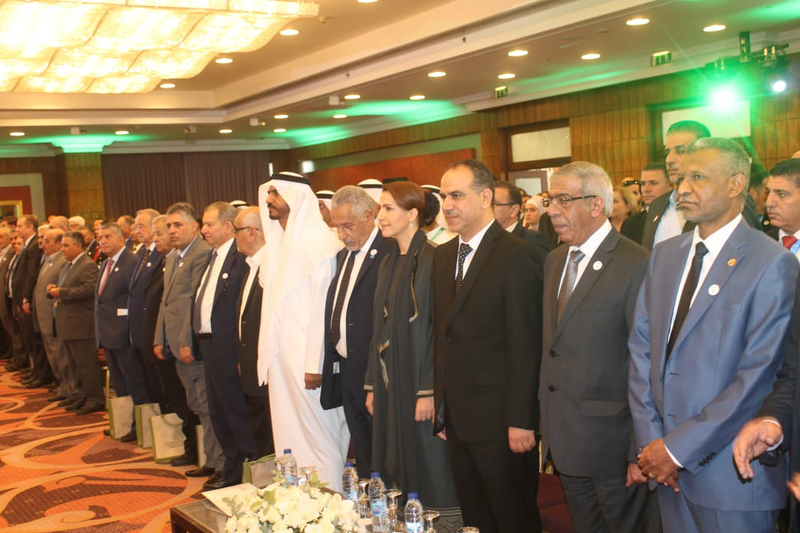 Almheiri said, " The festival is one of the most successful stories of the existing cooperation between the two fraternal countries which aims to enhance food security through the development and exploitation of our natural resources. On the occasion of the centennial of the late Sheikh Zayed bin Sultan Al Nahyan,we recall his vision when he pointed out that civilisation is closely linked to agriculture as they cannot be established without the flourishing of agriculture,"
She added that the festival reaffirms the strong historic relations and cooperation between the two countries led by President His Highness Sheikh Khalifa bin Zayed Al Nahyan and King Abdullah II of Jordan. The event, attended by the UAE Ambassador to Jordan Mattar Saif Sulaiman Al Shamsi, is also being hosted by the Jordan Dates Association (JODA), FAO, the International Center for Agricultural Research in the Dry Areas (ICARDA), the Arab Organization for Agricultural Development (AOAD), Date Palm Global Network (DPNG), and the Date Palm Friends Society of the UAE (DFS) from 21st- 23rd October 2018.